Serge de Ganay is currently the Chairman of the Board of Quilvest Wealth Management, a Holding which regroups the banking activities of Quilvest (Paris, Zürich, Luxembourg). He is also a Board Member of Quilvest S.A, the Financial Holding of the Bemberg Family, listed on the Luxembourg Stock Exchange. Quilvest is involved in two main activities: Private Equity and Private Banking. Serge de Ganay sits on various boards: He sits on the Board of Directors of Château Latour in Bordeaux. He is also a member of the Sotheby’s International Advisory Board, as well as a board member of the Bemberg Foundation and its museum in Toulouse. Lastly, he is on the Chairman’s Council of the Museum of Modern Art (MOMA) in New York. 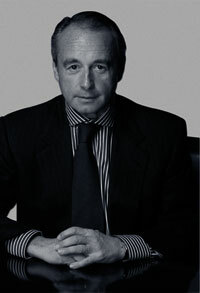 In 1985 he founded a strategy consulting firm called “Groupe G”. This firm provided consulting services in strategy and organization and allowed him to build strong relationships with CEOs of large international banks and industrial companies. Serge de Ganay is the author of various studies and articles on the evolution of the financial sector and new trends in management, in particular around the theme of family-owned business. He is regularly quoted in the media and in the business press. He is also a speaker in various organizations such as the European Parliament, the Harvard Club and INSEAD. He holds an MBA from Boston University and has headed a Business Strategy Graduate Program at La Sorbonne for the last 10 years.